FANG Stocks [36 Fundamentals Compared]Which one is BEST? Home Stocks & Dividend Research FANG Stocks Which one is BEST? 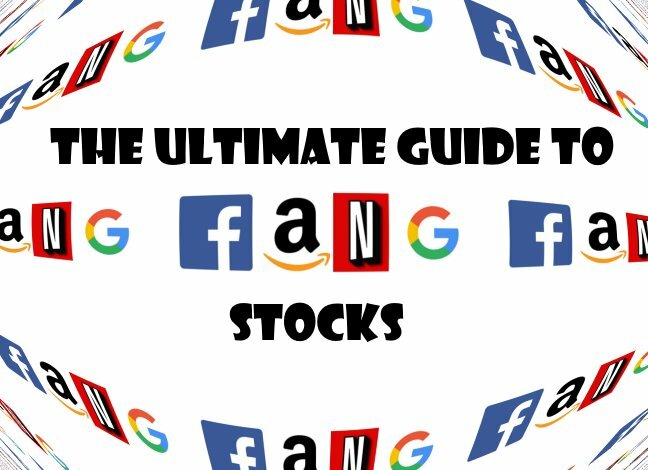 The Ultimate Guide to FANG Stocks Facebook vs Amazon vs Netflix vs Google. Fundamentals & Sentiment Compared + Interactive Charts, Quotes & Performance. Which one will YOU buy? What is a FANG Stock? FANG is the collective name given to the four technology titans in the U.S.A. Facebook, Amazon, Netflix & Google. The FANG stocks trade on the NASDAQ stock exchange and are core components of the NASDAQ 100. Together these technology giants make up $2.47 Trillion or 30% of the total value of the NASDAQ 100 Index’s $8.3 Trillion. According to our stock market statistics, the NASDAQ 100 is the fastest growing mature economy index, it was up 32% in the last 12 months and 468% over the last 20 years. If you are interested in comparing the FAANG stocks which includes Apple Inc. go here. Are FANG Stocks a Good BUY in a Trade War with China? While Facebook & Google have a reasonable P/E Ratio, both Amazon and Netflix seem to be extremely overpriced. One of the reasons for this is they are plowing all revenue back into the business to fuel the fast growth. This reduces the earnings (after expenses) and makes them look on the surface overpriced. Are FANG Stocks Still a Good Buy? Only Google failed to significantly beat the growth of the NASDAQ 100. Interestingly, the supposedly overpriced stocks Amazon and Netflix beat the index returns by 300% and 500% respectively. Which Fang Stock To Buy? Which FANG Stock you should buy is perhaps not the right question. Perhaps you should buy them all to help you spread your risk of owning a single stock. In fact, the NASDAQ 100 is performing so well you might want to buy a low-cost exchange-traded fund (EFT) that tracks the index. You would also then get exposure to the other two great tech giants not considered part of the FANG group, Apple (Ticker AAPL) and Microsoft (Ticket MSFT). In any case, if you want to buy only one FANG stock, then read below for our analysis and buy-sell sentiment indicators. When it comes to sheer size in terms of market capitalization Amazon & Google take the lead nearly approaching $1 Trillion in worth, Netflix is a mere minnow in comparison even though it is number 9 in the NASDAQ 100. With a FANG leading profitability of 40.7% of sales contributing to earnings, the simple business model of Facebook is making itself known. So Facebook has a simple business model, low costs and is still growing earning fast, with a 1 year EPS of 50.6%. It is also still reasonably priced with a P/E ratio of only 26.88. Plain sailing for Facebook? Well yes, it looks like it. The only shadows on the horizon are how much they can leverage adverts and milk private data before their loyal customers move somewhere else, also their limited finite user growth. But the smart Mr. Zuckerberg and friend have a solution for that. All your photos, videos, likes, and relationships are documented and released to you in lovely little cute videos with nice soundtracks that remind you that if you move to another social network you lose it all. Mr. Bezos, you have built a retail system that competes with, and nearly beats, every shopping mall, retail chain and every mom and pop store, you deliver audiobooks, eBooks, physical and virtual DVD’s, music, books and everything from wine to lawn mowers and anything in between. I know because I am a prime member, and a significant percent of my spend is with Amazon. People are still a large part of the equation though, Amazon employs over half a million people, significantly more than the other FANG companies. What I love about Amazon is the ability to simplify everything. This website runs on Amazon Web Services (AWS), which incidentally AWS is on course to dominate web services provisioning. Everyone from solo entrepreneurs to multinational corporations are signing up like crazy to have their digital services hosted on the one true flexible “pay as you go” digital application hosting service. Where haggard incumbents Hewlett Packard Enterprise, DXC Technology, and IBM are failing Amazon is succeeding. Amazon has fostered for their entire history a completely unreasonable price earnings ratio of over 100, now standing at 142. How is this possible. Well, because the margins are razor thin, but the growth still keeps coming with Bezos plowing any spare cashflow into expansion and innovation. With a percent change in revenue of +35.51% for 2017 to 2018 they are still with the leading FANG wolf pack. One of the finest ideas was for Amazon not only to be the seller of books but to be the marketplace for everyone to make money. Solutions like”Createspace on-demand printing” for independent book publishers, and the fact that anyone can opt-in for the service “Fulfillment by Amazon” has changed industries and given some power to independent entrepreneurs. June 29th, 2018 was the week that NETFLIX appeared on the cover of the Economist magazine entitled “Netflix – The Tech Giant Everyone is Watching”. Because they have literally the simplest business model of all the FANG stocks. They do not need a call center, they do not need stores, they only need the internet, net neutrality some application user interface designers, great developers, and a massive content delivery network. Oh did I forget the deal makers? Negotiating with the content developers like Disney, HBO and others are the absolute keys to success. The grand total of employees in Netflix is only 5,500 people. That is incredible. Netflix does not sell your data, they support more local language original productions than anyone else, independent standup comedy artists and fund excellent independent documentaries and investigative journalism. What’s not to like? However, some storm clouds might be on the horizon, with an EPS change for the trailing 12 months of -20.53% and the lowest percent increase in revenue of the FANG’s at 18.86%, is the shine wearing off. Google has matched the earnings of the NASDAQ 100 at 31% for this year, But it needs some big wins to start thrilling investors in the future. The FANGs are the darlings of the new tech era and there are high expectations on their business growth. Therefore as we have seen with Netflix and Facebook any reset in growth projections is likely to produce an overly excessive reaction from investors. Volatility could be the name of the game going forward. As suggested at the beginning of the article, do not place all your eggs in one basket and ensure you diversify and manage risk accordingly. It’s Luiza. Thanks for this great article. My answer is none YET!! 1. NFLX is my first choice but the technical indicators tell me that it is too soon to buy it. The MACD histogram is is -4.5 and not rising, plus no sign of the MACD gap narrowing. There are 2 levels of resistance – $308 and $292. From the chart, it’s trading range appears, to me, to be between $308 and $420. 2. My 2nd choice is AMAZ, but NOT YET! The MACD crossed over to the negative on July 28th and the histogram is at -7.5. The first level of resistance is at $1650 per share. It reached its highest level in 5 years at $1875 on July 29th BUT it was not able to hold that level. 3. FB. Interesting. I don’t think the market has finished punishing FB for its data mining practices. Volume yesterday was at 40 million shares – almost double its normal volume. If I did anything with FB, I would short sell. The next level of resistance is about $158 per share and a further resistance at about $145. My bottom line is that with $18,000 to invest, I could wait and by about 10 shares of AMZN or 60 shares of NFLX. In my opinion, NFLX has the greater opportunity to return to its highest level.